Contrary to popular belief, you are never too young, too healthy or too single to have a will, and you don’t need to have kids to justify drafting one either. When it comes to estate planning, the term “estate” simply refers to the things we own. Everyone has an estate. Some of what we own are probate assets and some are not. Either way, it will give you peace of mind to take control and make a plan for your estate’s future. Your marital status will bring to light different aspects of estate planning that will be important for you. Married People: Click to read 16 aspects of estate planning that you and your spouse may need to consider. Single People: Click to learn about common issues that arise for single people when estate planning. Unmarried Couples: Here’s why estate planning is critical for you. Estate planning priorities also hinge on factors like whether you are a parent or business owner, or own property. 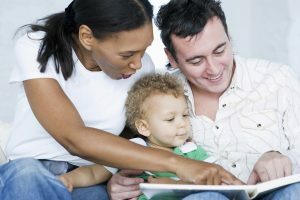 Estate planning for parents: If you have children, estate planning allows you to create a trust for them to be taken care of and also lets you outline a plan for their inheritance. This can be especially important if you are separated from the child’s other parent. A will lets you ensure that you determine how your children benefit from your estate and how that can be kept separate from the other parent’s wishes. Good planning can also be key for handling an inheritance when it comes to an adult child who you are concerned about regarding marital, substance abuse or spending issues. Estate planning for business owners: As a business owner, your estate plan is a critical part of succession planning. On study found that, “Poor estate planning and an unexpected death can quickly undo the most successful efforts in building a family farm or business.” (Lee, Jasper, & Goebel, 2003) It will be important for you to address who will inherit your family business or establish what happens to your portion of a business that you share with partners. What happens to your property if you don’t have a will? In short, your home and other property will go where the court says it goes, if you don’t have a will, also known as intestate. Each state has its own laws about this and where your property goes is determined by family relationship. Here’s how Colorado intestacy statues work. Naming a beneficiary in your will is an easy way to avoid hassle and heartache that your loved ones may deal with if you don’t. Considering that a home may likely be the biggest purchase you ever make, it’s worth the peace of mind for all involved to cover its fate in your will. While there are numerous reasons to make 2018 the year you stop procrastinating and get to estate planning, it’s much harder to come up with a convincing reason not to do it! So go ahead and add estate planning to your list of must-dos for the year. If it helps for motivation, think of how much better you’ll feel going on that big vacation knowing that everything and everyone back home is secure. We love to help Colorado residents with estate planning needs. Contact Andersen Law PC today at 720-922-3880 or beth@AndersenLawPC.com to learn how to can help you confidently prepare for the future. Magpie Media contributed to this article. Previous Previous post: Should You File a Paternity Action or an Allocation of Parental Responsibilities Case?